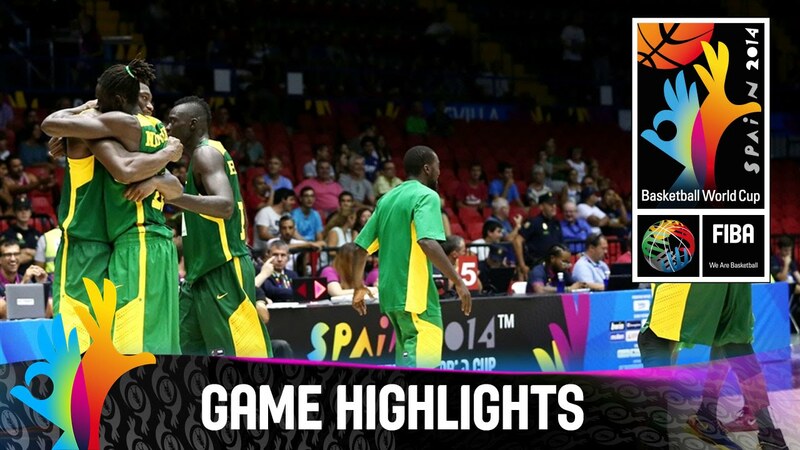 SEVILLA (FIBA Basketball World Cup) - Senegal waited 16 years between their second and third victories at FIBA's flagship event. But the Africans didn't need even 24 hours before getting their second win at the 2014 FIBA Basketball World Cup as they shocked Croatia 77-75. "This is history. We joked around coming here saying we were trying to make history, but we really had in mind that we wanted to make history," said Senegal big man Hamady Ndiaye, who had five points, five rebounds and three blocks in Senegal's second win in as many days. The win comes a day after Senegal knocked off Puerto Rico in Group B play, clinching their first Worlds win since defeating Korea at the 1998 FIBA World Championship. The only previous win for Senegal at a Worlds was against China in 1978. "We rode the wave from yesterday and got another great win," said Senegal captain Maleye Ndoye, who was a member of the Senegal team that went 0-5 at the 2006 FIBA World Championship in Japan. "It would be great to keep playing and continue to ride the wave. But we'll use the day to get some rest. And we will be focused the same for the next game against Argentina." France captain Boris Diaw took to Twitter to congratulate the Senegalese. Gorgui Dieng had another outstanding performance with 27 points, eight rebounds, three assists and two blocks while Xane Dalmeida knocked down three big three-pointers in scoring 15 points to go with five assists. Senegal improved to 2-1 in the group to be even with Croatia and have games against Argentina and the Philippines still to come. Coach Cheikh Sarr said the team's objective is to reach the knockout stage of Spain 2014, something that didn't look very possible until after the first half of the first game against Greece. "Our tournament started in the second half against Greece. The first half was really crazy. We didn't know the competition would be like that," he said. The coach also remained realistic. "Other teams come here to win the tournament. We are here to learn." Looking at the last two days, it seems that Senegal have learned how to win games. Vukona: "Don't write us off just yet, we are the Tall Blacks"